John W. Hamner, 92, of Flat Rock, passed away Saturday March 16, 2019 at Waldron Health and Rehab Center. William L. Shepherd, 91, of Carmel died March 14th, 2019. He was originally from Hope. Clifton R. “Bubba” Posey, Jr., 62 of Columbus, died Wednesday, February 20, 2019 at Columbus Regional Hospital. Joyce D. Hand, 87, of Columbus, died February 21, 2019 at the Our Hospice of South Central Indiana Inpatient Facility. Ernie Floyd Ridner, 86, of Martinsville, died Saturday Jan. 26, 2019 in Mooresville. Anthony “Tony” Hillen, 69, of Columbus died Wednesday Jan. 16, 2019 at Silver Oaks Health Facility. James Christian Warner, 49 of Miami County, Indiana died Wednesday Jan. 16, 2019. Joe M. Baker, 93, of Columbus, died Saturday Jan. 12, 2019 at Our Hospice Of South Central Indiana Inpatient Facility. Loval Lorene Hjelter, 88, of Columbus passed away Jan. 8, 2019 at Silver Oaks Health Campus. Buddy F. Tempest, 84 of Columbus, died Tuesday January 1, 2019 at Columbus Regional Hospital. Ronnie L. Coomer, 70, of Columbus died Sunday December 23, 2018 at Columbus Regional Hospital. Morris L. Beck, 87, of Franklin, passed away Wednesday Dec. 12, 2018 at Homeview Health and Rehab Center. Dallas L. Brinker, 73, of Greensburg, formerly of Columbus, passed away at 4:36 a.m. Saturday, Dec. 1, 2018 at Decatur County Memorial Hospital. E. June DeSpain McKay, 90, of Hartsville, died Thursday, Nov. 29, 2018 at Our Hospice of South Central Indiana. Joe H. Wright, 65, of Columbus, passed away at his home Nov. 28, 2018 surrounded by his family. Joseph L. “Joe” Robertson, 77, of Columbus, passed away at his home on Wednesday, Nov. 15, 2018. Jane T. Shuff, 81, of Columbus, died Wednesday, Nov. 14, 2018 at Hickory Creek of Columbus. Louvena L. Knight, 88, of Columbus, passed away Sunday, Nov. 4, 2018 at Our Hospice of South Central Indiana. Claude E. “Ted’ Johns, 90, of North Vernon, died Sunday, Oct. 21, 2018 at his home. Wade Morris Baxter, 63, of Columbus, died Tuesday, October 16, 2018 at his home. Erma Lucille Nasby Franklin, 91, of Columbus, died Friday, October 12, 2018 at Lutheran Community Home in Seymour. Robert Arthur May, 91, of Hope, died at 5:00 a.m. on Saturday, October 6, 2018 at Our Hospice of South Central Indiana. Samuel W. Swinford, 80, of Flat Rock, died Sunday, Sept. 30, 2018 at IU Med Center. Donald C. Bailey, 78, of Columbus, passed away on Wednesday, Sept. 26, 2018 at IU Health Methodist Hospital. Kenneth D. “Lard” Burton, 84, of Greensburg, died Wednesday, September 26, 2018 at Our Hospice of South Central Indiana. Larry Duwayne Greathouse, 67, of Hope, died Monday September 17, 2018 at Forest Creek Nursing Home in Indianapolis. Parker “Ed” Tempest, 83, of Columbus, died Friday August 31, 2018 at 10:02 p.m. at St. Vincent Hospital. David R. Harlow, 74, of Taylorsville, passed away Thursday, Aug. 30, 2018 at his home. Noel H. Knifley, 67, of Columbus, passed away Wednesday, August 29, 2018 after a brief battle with cancer. Carol Ann Adams, 78, of Greenwood, died Thursday, August 2, 2018 at Aspen Trace Living Community in Greenwood. Joyce G. Andrews "Mimi Juice", 74, of Columbus, died August 1, 2018 at IU Health Methodist Hospital. 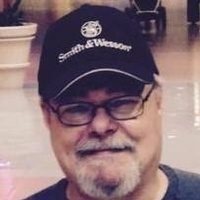 Randy Hathaway, 66, of Speedway, formerly of Hope, died Monday, July 30, 2018 at Eagle Valley Meadows in Indianapolis. Rodney Delbert DeSpain, 61, of Hartsville, died July 15, 2018. Pauline Baker Horton, 95, passed away on July 5, 2018. She had been a resident of Palm Harbor, Florida for the past 14 years, formerly of Indianapolis, Indiana. Dorothy Jane McCarty, 96, of Columbus, died Sunday, June 24, 2018 at her daughter’s home. Wilma Huntsman, 87, of Columbus, passed from this life to the next on June 15, 2018, at Willow Crossing Health and Rehab in Columbus. Steven Huntsman, 67, Cadiz, Ky.
Larry K. Rednour, 71, Hendersonville, N.C.